Rewards Canada: May 26 Update: New Nordstrom Rewards Visa from mbna, more lounge access for Amex Platinum cardholders and more! May 26 Update: New Nordstrom Rewards Visa from mbna, more lounge access for Amex Platinum cardholders and more! Nordstrom has a big enough presence now in Canada to offer a credit card for their Nordstrom Rewards program. With 5 stores open, one more coming and more than a dozen Nordstrom Rack stores planned the need for extra loyalty to their program is evident. The new Nordstrom Rewards Visa card with MBNA earns two points per dollar spent at Nordstrom and one point per dollar on all other purchases. With 2,000 points equaling $20 at Nordstrom you can see that you get 2% back for the Nordstrom purchases and 1% back everywhere else. You also get a bonus $20 Nordstrom Note when you make your first purchase on the card. We'll be adding this card to our comparison charts soon but from what you can see the card is pretty average unless you shop a lot at Nordstrom to get the 2% back with no annual fee. You can apply for the card here. 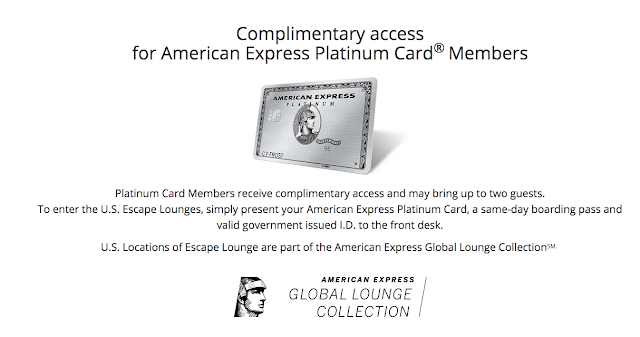 Lounge access via the Platinum Card from American Express just keeps getting better everyday! Now holders of the Platinum Card receive free entrance for themselves and up to 2 guests at any of the 3 Escape Airport lounges in the U.S.. These lounges can be found in Minneapolis, Hartford and Oakland. Find out more here.